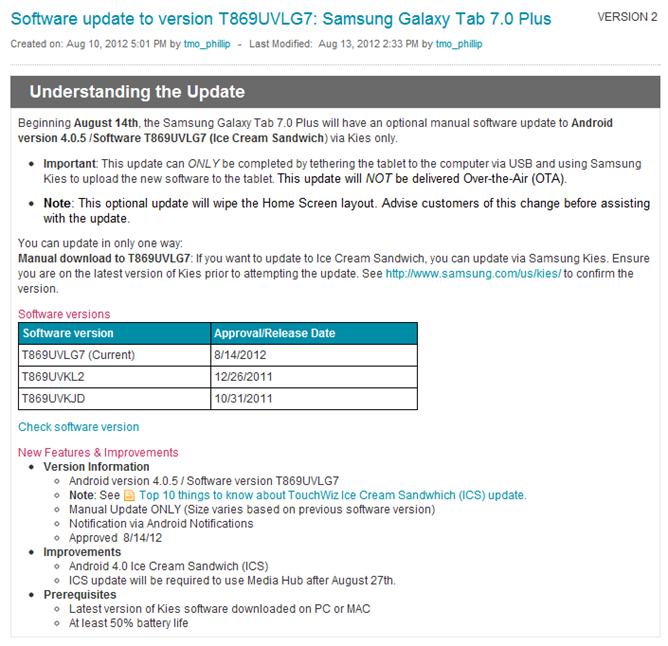 Samsung has been working to push Ice Cream Sandwich to the entire Galaxy Tab series as of late. We've already seen it hit the 7.0 Plus Wi-Fi, 7.7, and 10.1. As usual, owners of carrier-connected tablets have to wait a bit longer, as the update has more hoops to jump through before it can get the final approval and make its way to said devices. Looks like T-Mobile is among one of the first carriers to offer the update for its variant of the Tab 7.0 Plus, and it's scheduled to become available tomorrow. However, this one isn't coming over-the-air (OTA); you'll have to turn to Samsung's proprietary Kies software to grab the download. Don't worry, though: it'll be worth it. The changelog notes all the various differences that one would expect to come with ICS, but there's one very interesting anomaly: it states the Android version as 4.0.5, which we assume is a typographical error. That doesn't necessarily mean it is a typo, however, so we've reached out to both T-Mobile and Google for confirmation. Thanks for asking! 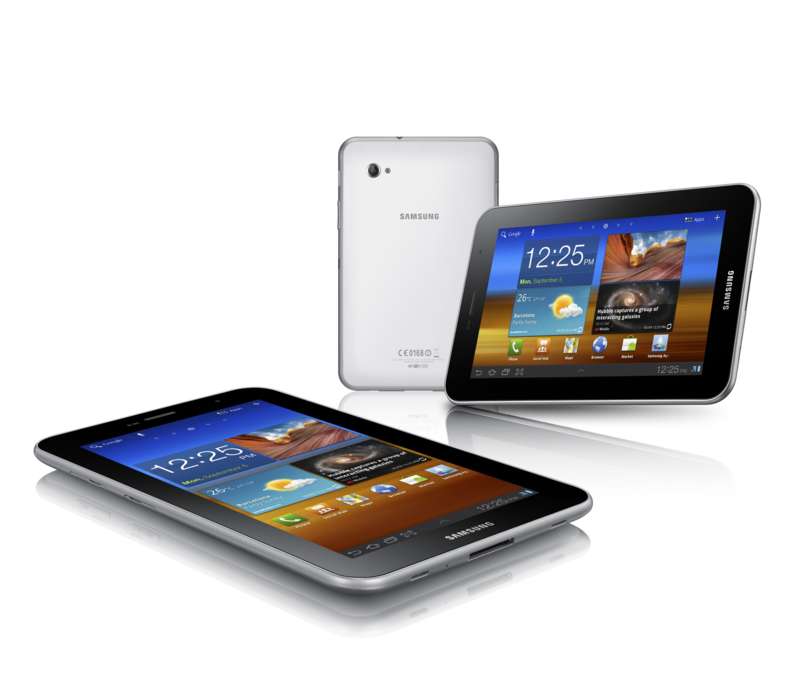 According to the information provided, the device will be updated to 4.0.5. If this ends up being incorrect info, I'll make sure to update the document accordingly. Thanks again for making sure our information is correct. We're still betting it's an error. In the meantime, you can start prepping for that download - the 14th is just right around the corner.